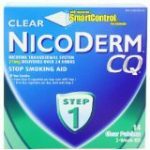 If you are seriously ready to finally kick the habit, nicotine replacement therapies may be “the quit smoking aid” you need. 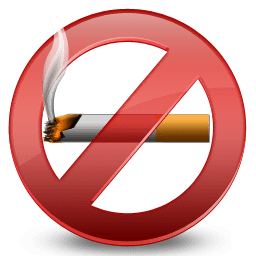 NRT (Nicotine Replacement Therapy) delivers a measured dose of nicotine into your system, but unlike cigarettes that are full of carcinogenic and other poisonous chemicals, NRTs only contain nicotine. Nicotine enters into your bloodstream via your skin, and it is not recommended that you smoke while wearing the patch. Side effects associated with using a nicotine patch may include: itching at area site, headache, dizziness, and diarrhea. In addition, if you find that you are having disturbing dreams, discontinue wearing the nicotine patch while you sleep. A nicotine inhaler looks like a regular cigarette with a special mouthpiece. This is a prescribed NRT, and you are not advised to smoke while using this product. Some common side effects while using a nicotine inhaler may include: upset stomach, sinus pressure/pain, headaches, and possible irritation in the mouth and throat. During weeks 1 through 6: Use one lozenge every 1 to 2 hours. During weeks 7 through 9: Use one lozenge every 2 – 4 hours. During weeks 10 – 12: Use one lozenge every 4 – 8 hours. 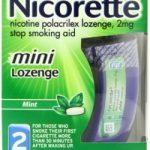 Some common side effects while using nicotine lozenges may include: hiccups and heartburn. 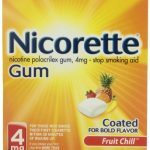 Nicotine gum is available in two strengths (mild: for individuals that smoke less than 25 cigarettes per day and moderate: for individuals that regularly smoke more than 25 cigarettes per day). 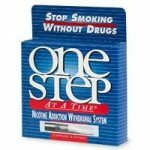 This quit smoking aid is available over the counter and without a prescription. Some common side effects associated with nicotine replacement gum may include: Nausea, headaches and mouth sores.